No reason other than I like the absence of advertising..
Red leatherette seats in Preston Railway Station, caught from platform 4 just before the Glasgow to Manchester train rolled in to the station. Saw this fabulous glass block window this morning in The Winter Gardens Blackpool and couldnt resist it’s simplicity and beauty… The east facing wall on the top balcony has a row of these arched windows and I always try to get up in ‘the gods’ to see them …this morning the light was just right and though I had to move some chairs to fit the full window into the frame and lean back over the balcony safety railing…with heart in my throat and knees knocking I managed to capture a beautiful detail of this much loved building. Lets face it putting oneself in danger is the least one can do for their art! 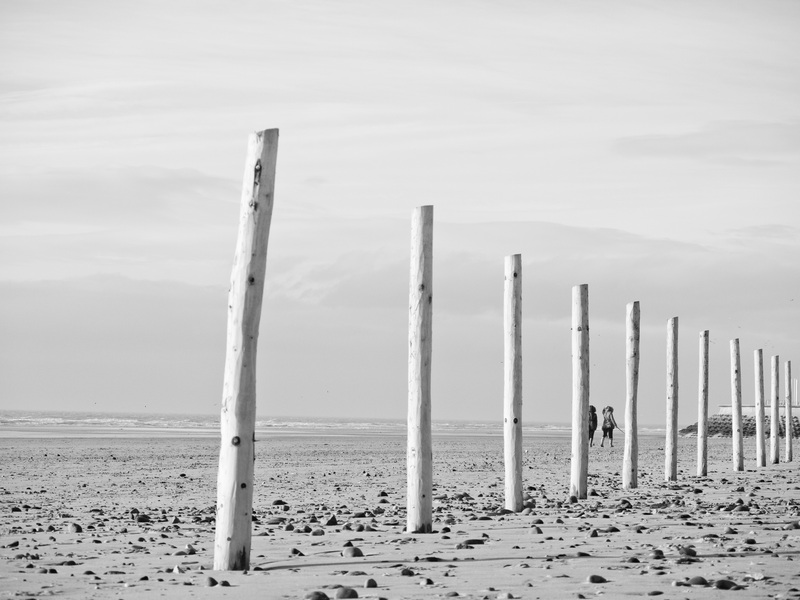 I love my town, It has to be the best part of the coast and this post is about posts…wooden posts or sand fences used to protect the sand dunes.. I love the way they stand to attention like little tin soldiers…protecting the hills and the coast through all sorts of severe weather. 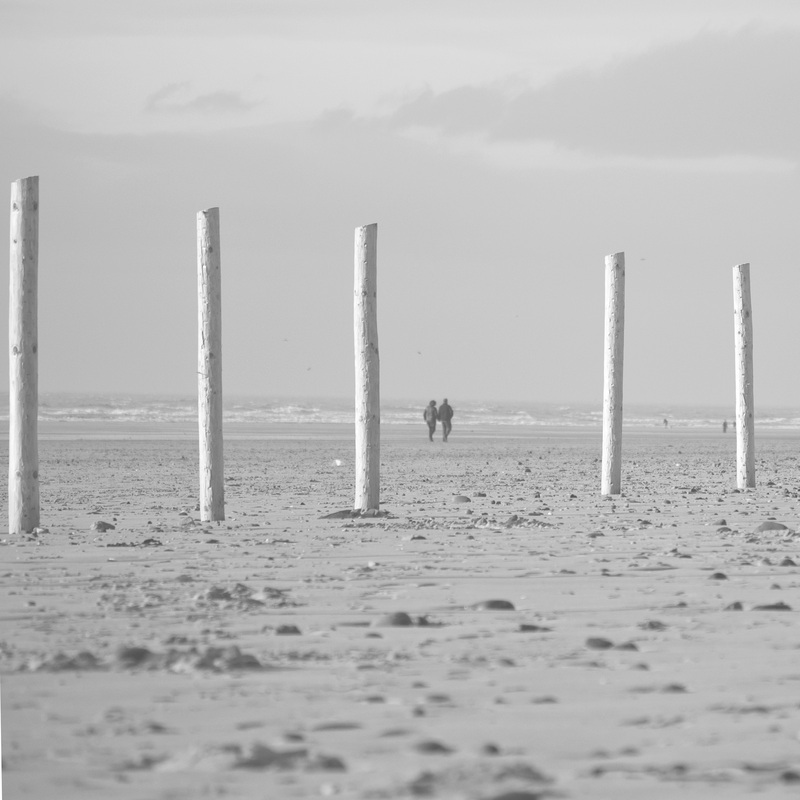 We get very strong winds along this coast, up to 90mph but these little posts stand their ground and protect the beach. Have grown to be very fond of them over the years and in early February when the light is just right mid morning its a great place to go to capture some minimalistic street photography.